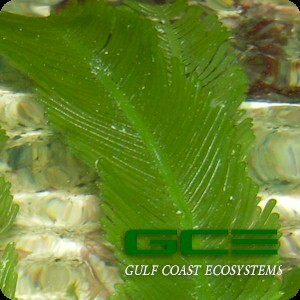 This species of Caulerpa features feather shaped blades with rounded, segmented fronds. A large variety, that can reach blade widths of up to 2" and a height of about 12". Due to it's size, ashmeadii grows slower than other species of Caulerpa and will not take over the aquarium. You will receive a portion that is approx 12" long with 5-6 blades.